Valentine’s Day is fast approaching, which can only mean one thing: love is in the air. Red roses are blooming, romantic candlelight dinners are being planned, and Valentine’s Day cards are flying off the shelves. Right? If conventional wisdom is to be believed, Valentine’s Day is the most romantic day of the year. However, a new survey by Budget Direct challenges this traditional narrative, showing most surveyed Australians don’t celebrate Valentine’s Day as they believe it does not have any positive long-term value for a relationship. The survey used a used a sample size of 1,000 people. In theory, Valentine’s Day is supposed to be a celebration of true love. Yet, an overwhelming majority (83.6%) of surveyed Australians do not think Valentine’s Day reflects a true celebration of the importance of love. Whether these respondents are simply Valentine’s Day ‘grinches’, or they represent a growing trend among Australians, this sentiment was shared evenly among all surveyed demographics. In fact, 18-24 year olds were the only surveyed age group in which more than 20% of respondents (23.7%) thought Valentine’s Day reflected a true celebration of the importance of love. Given this, it comes as little surprise that 69.6% of surveyed Australians do not think celebrating Valentine’s Day has any positive long-term value for a relationship. Interestingly, older respondents (55+ years old) were less likely to think celebrating Valentine’s Day has positive long-term value for a relationship. 39.6% of surveyed 18-34 year olds thought celebrating Valentine’s Day had positive long-term value for a relationship, a figure which halved to just 21.1% of 55+ year olds. These results seem to represent a generational divide: the enthusiasm of young love vs the wisdom and experience of age. Still, given 55+ year olds have more overall relationship experience than their younger counterparts, their opinions on the value of Valentine’s Day shouldn’t be discounted, especially as they are likely to be based off learned experience. As such, if you’re unlucky in love, it might be worth following this wisdom and ditching Valentine’s Day celebrations for the good of your relationship! When asked why they celebrate Valentine’s Day, most respondents had a simple answer: I don’t. In fact, 62.7% of surveyed Australians don’t celebrate Valentine’s Day. Even so, there is a slight disparity between this percentage, the 70% who don’t think celebrating Valentine’s Day has positive long-term value for a relationship, and the 83.6% who don’t think Valentine’s Day reflects a true celebration of the importance of love. Thus, it appears some respondents feel compelled to celebrate Valentine’s Day for reasons other than love or relationship value. For example, 8.2% of respondents said they celebrate Valentine’s Day due to social pressure, while 8.3% celebrate because their partner would be mad if they didn’t. Combined, this means 16.5% of respondents celebrate Valentine’s Day due to external pressures. Shockingly, only 17.5% of respondents celebrate Valentine’s Day due to ‘increased romance’, even though Valentine’s Day is supposed to be all about romance. Once again, younger generations were more likely to have favourable views of Valentine’s Day. 51.8% of surveyed 25-34 year olds celebrate Valentine’s Day, making this the only age group where the majority of respondents do celebrate Valentine’s Day. In contrast, 76.1% of surveyed 55+ year olds don’t celebrate Valentine’s Day. Although cultural stereotypes often depict Valentine’s Day as a ‘feminine’ holiday, women were less likely to celebrate Valentine’s Day than surveyed men. 36% of surveyed women said they celebrate Valentine’s Day, compared to 38.5% of men. When it comes to gift-giving, 58.1% of respondents said they would prefer to save their money than receive a Valentine’s Day gift, while 61.9% said they typically spend less than $20 on Valentine’s Day. A clear age divide emerged again, with 18-34 year olds favouring gift-giving (only 46.4% would rather save their money than receive a Valentine’s Day gift) and 55+ year olds favouring financial frugality (72.6% would rather save their money than receive a Valentine’s Day gift). Consequently, younger respondents (18-34 years old) were more likely to splash their cash on Valentine’s Day, with 44.4% spending more than $20, including 7.9% of big spenders who spend $100+. In contrast, just 28.1% of surveyed 55+ year olds said they spend more than $20 on Valentine’s Day. Of those who did want to receive a Valentine’s Day gift, a romantic dinner was the most popular option (20.6%), closely followed by other classics: flowers (10.2%), jewellery (5.8%), and chocolates (5.6%). 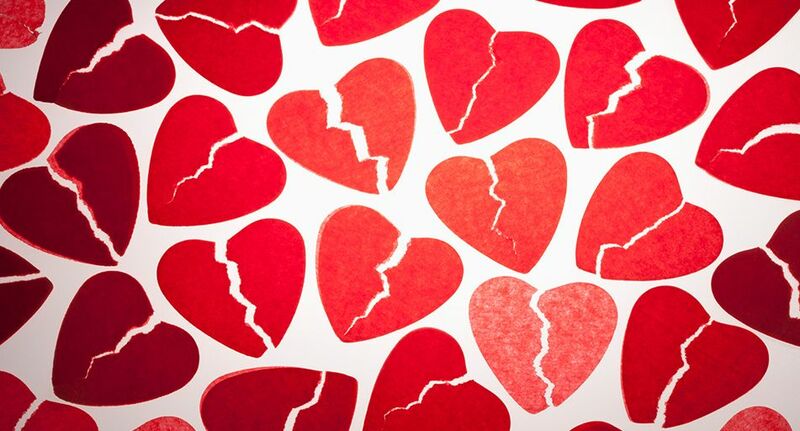 Despite surveyed Australian’s largely rejecting Valentine’s Day, 59.9% said they were ‘in a relationship’. Respondents were most likely to have met their partner through friends (22.4%), with ‘work’ (14.2%), ‘school’ (11.1%), and ‘online dating’ (8.2%) also being popular options. Notably, 35-44 year olds embraced online dating more than any other surveyed age group. 12.7% of 35-44 year olds met their partner through online dating, which is more than double 18-24 year olds (5.4%) and 65+ year olds (4.5%). Regardless, 74.4% of respondents did not think that where you meet your partner (i.e. online vs real world) had any effect on the longevity of a relationship. Over the years, there has been a slight social stigma associated with online dating. However, these results suggest the tide might be turning. One possible explanation is the rise of dating apps like Tinder, which have normalised meeting your partner digitally, rather than in real life. Younger respondents (18-34) were more likely to say that meeting your partner online impacts the longevity of a relationship, with 31.7% compared to 15.9% of 55+ year olds. It is possible that younger, more ‘tech savvy’ respondents have more experience meeting people online, making their answers a more accurate reflection of the merits of online dating. Equally, since 55+ year olds have more overall relationship experience, it is possible they have learned that where you meet your partner has little impact on the quality of a relationship. Whatever the case, these findings show that surveyed Australians overwhelmingly reject Valentine’s Day. It’s difficult to say whether this means we are a nation of romance-averse cynics, or simply of frugal spenders who would prefer to express love in other ways, rather than wasting money on grand romantic gestures. Whatever the case, these results could certainly make you think twice before spending a fortune on expensive Valentine’s Day gifts this year!